Pictured above is the Hawaii State Capitol located in downtown Honolulu. The State Capitol is the seat of Hawaii government with Iolani Palace, the Hawaii Supreme Court, federal building, various state buildings, Honolulu Hale, and the Honolulu Police Department just blocks away. Why is this view of the State Capitol so significant? 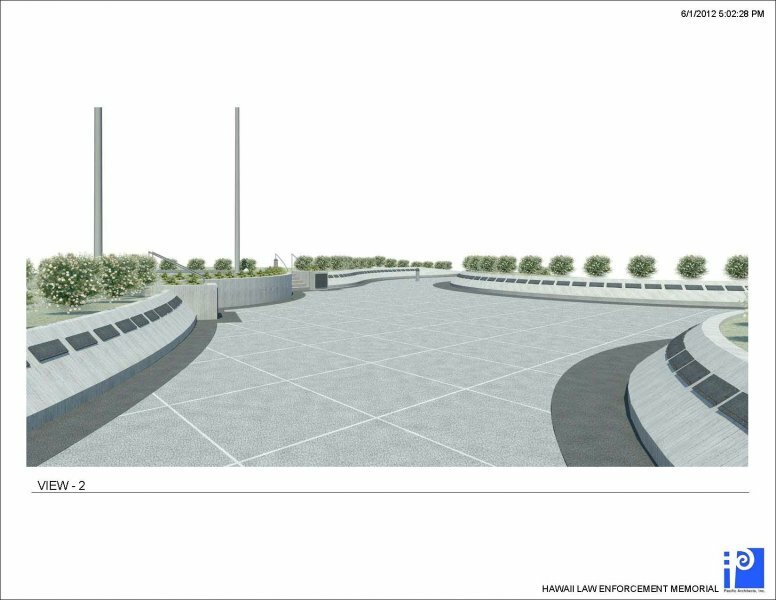 Simply, someday very soon the Hawaii Law Enforcement Memorial will sit upon the grounds of the Capitol District! 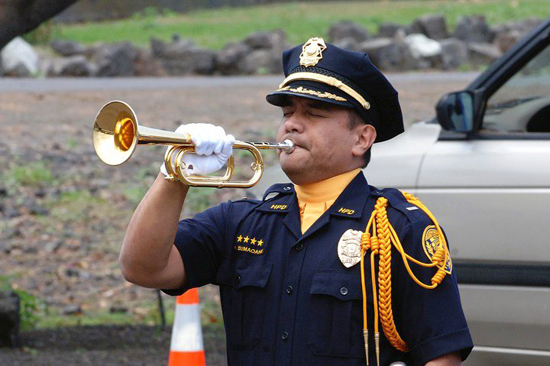 On April 23, 2010, the 25th Legislative Session (2010 term) enacted House Concurrent Resolution 139 which recognized that 1) Hawaii is the only state which does not have a law enforcement memorial, 2) the Foundationwork with the various federal, state, local law enforcement agencies and organizations and 3) DAGS shall set aside land on the Diamond Head side of the State Capitol for the construction of the memorial. 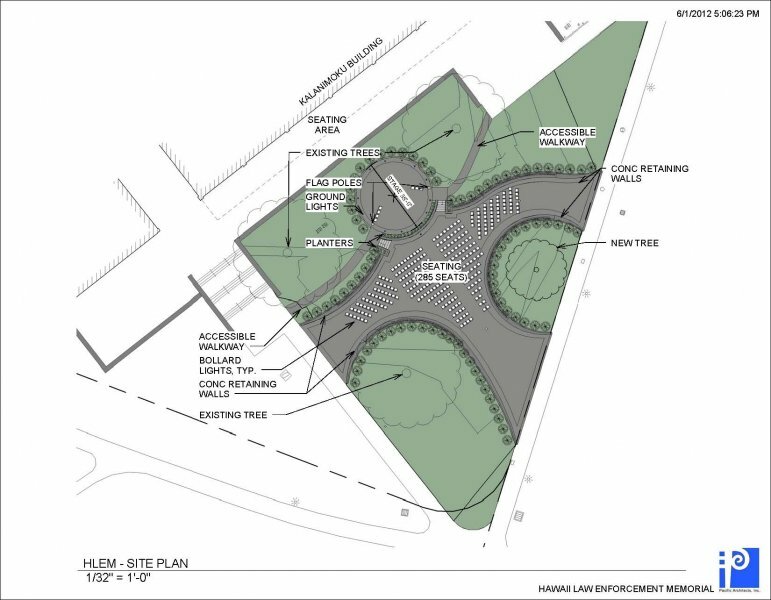 On April 25, 2011, Governor Neil Abercrombie signed into law House Bill 1622 which directs “the construction of a state law enforcement memorial in the capitol district, provided private funds are solicited and used for the construction of the memorial.” HB 1622 becomes effective July 1, 2011. 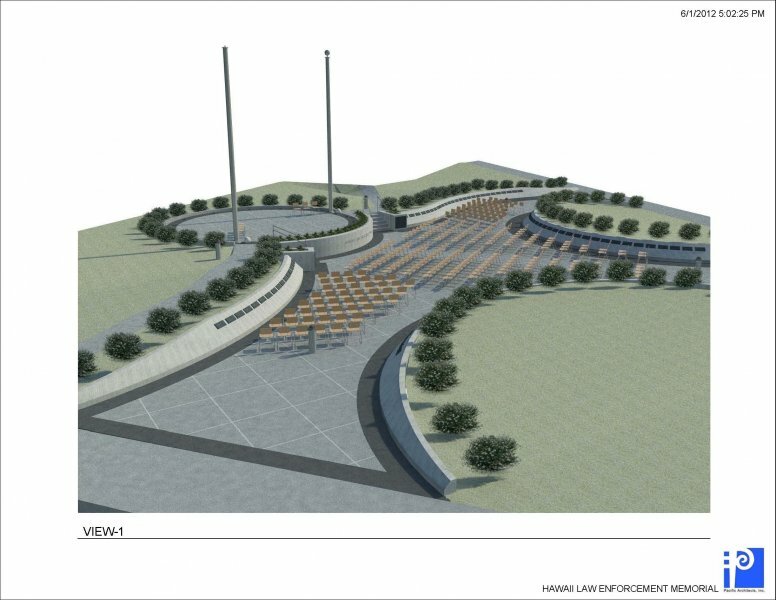 The honor of designing the Memorial has been awarded to the University of Hawaii at Manoa, School of Architecture. 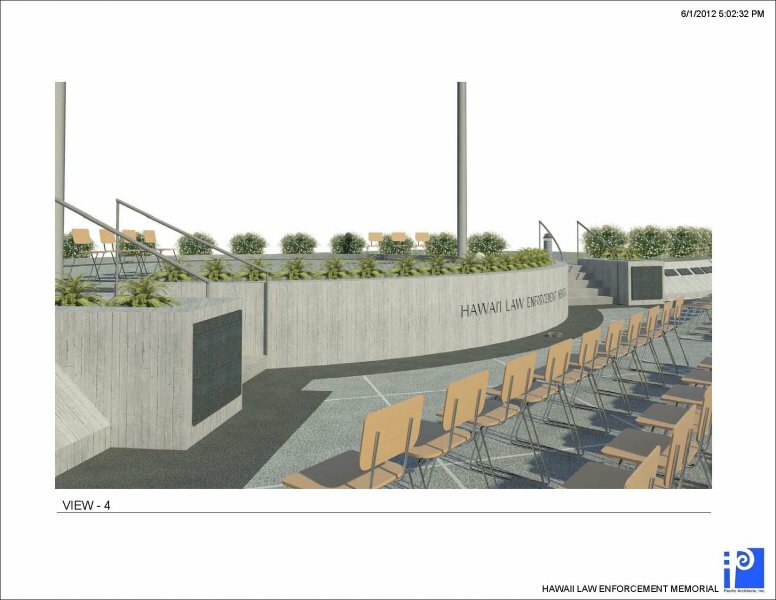 The School of Architecture will study law enforcement memorials from the other49 states, major city police and sheriffs departments, and municipalities, and provide designs which adequately depict our Hawaiian heritage and local culture. 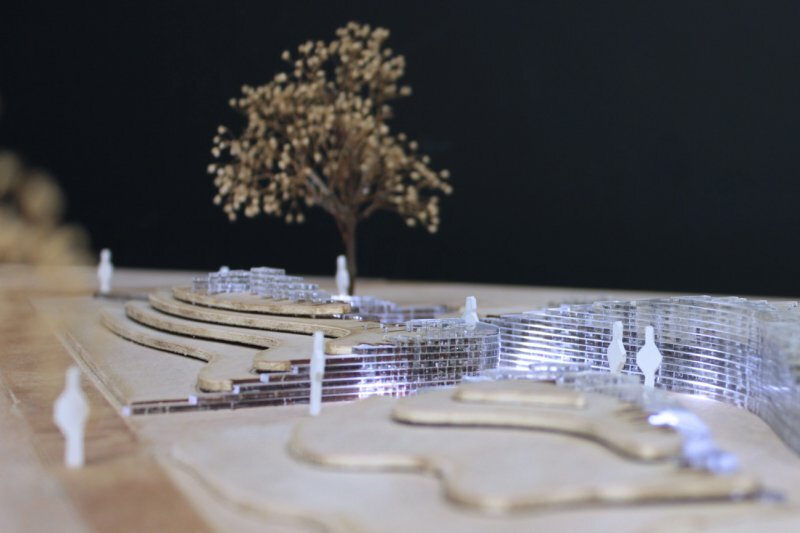 The proposed plan is for the University of Hawaii and those submitted from interested individuals from the general public, to provide no more than 50 memorial design renderings. 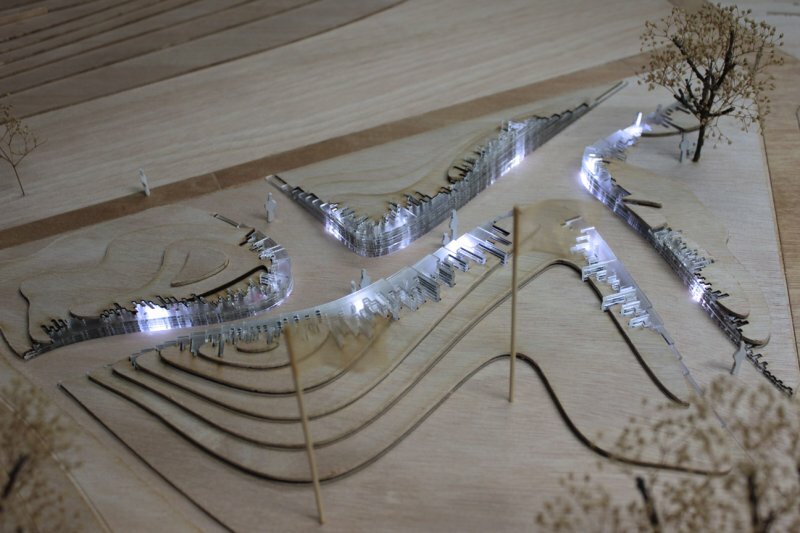 Of those designs, the School of Architecure will select the best five designs. 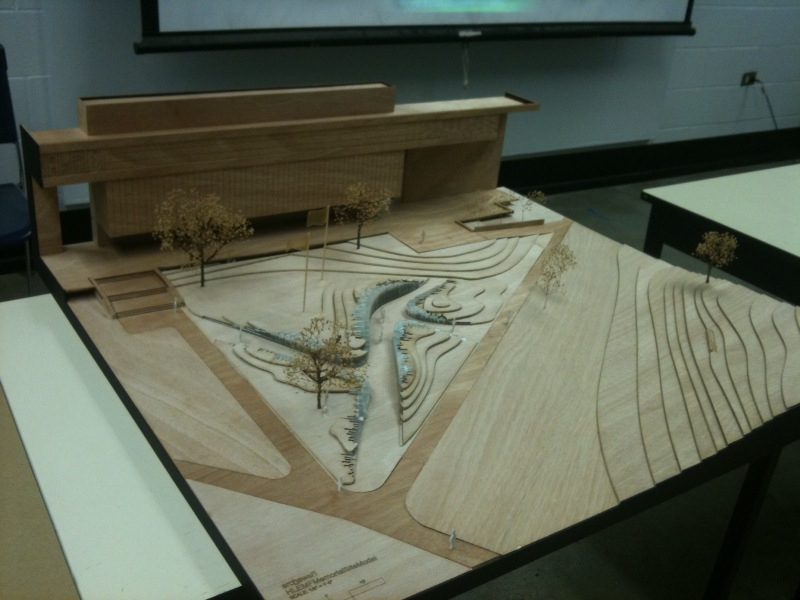 The nine agencies and organizations identified in HCR 139 will then narrow the selection to three semi-finalist designs. 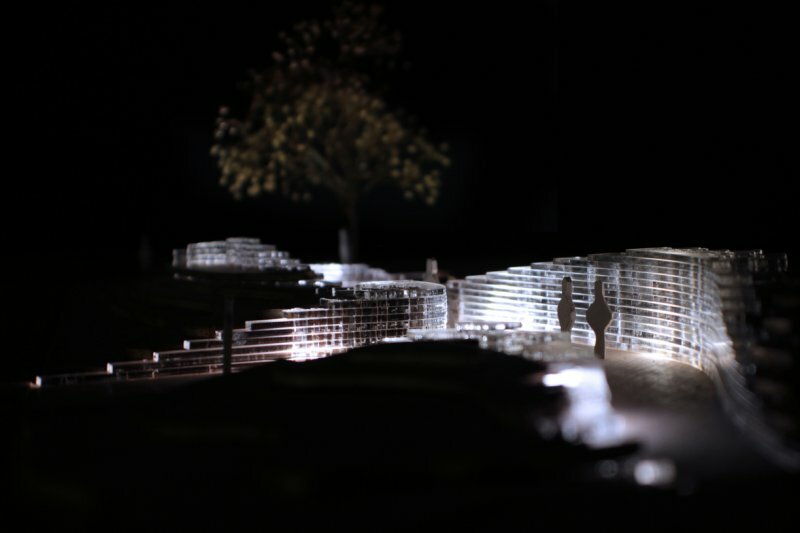 The three finalist renderings will then be returned to its respective designers and 3-D scale models will be requested. 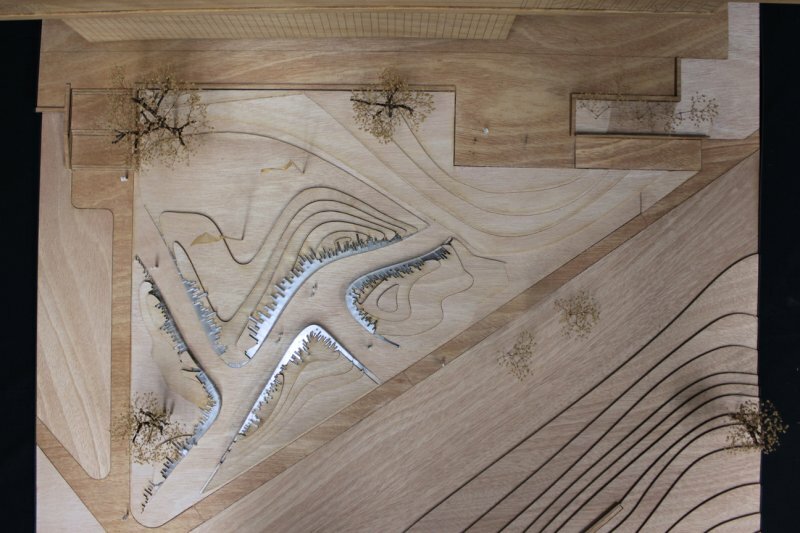 These fabrications will fully depict each particular memorial design, the designer’s inspiration and interpretation of his or her rendering, and estimated costs based on scope, accoutrements, and materials utilized. 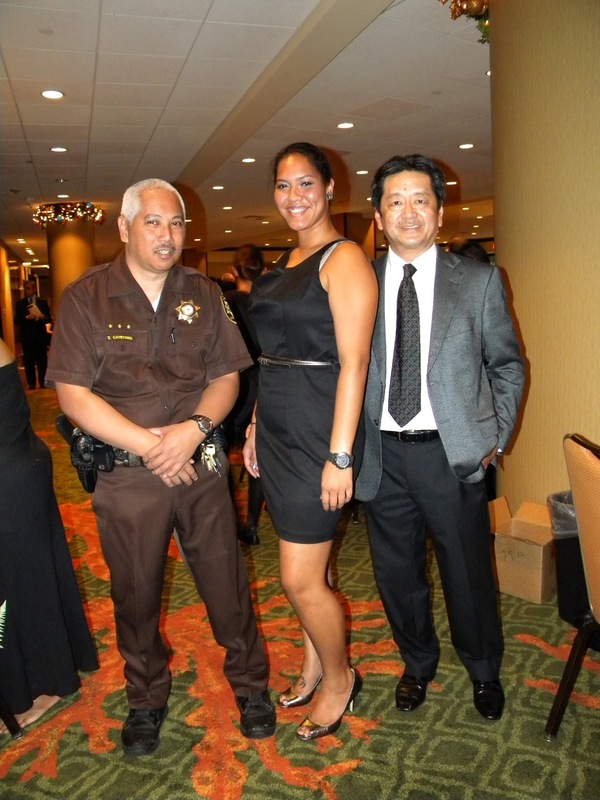 The final designs were made available for presentation and inspection by the public at the 1st Annual Hawaii Law Enforcement Memorial Foundation’s Gala Benefit on December 11, 2010. This Gala Benefit drew 1000 guests ranging from elected officials, police agencies, state agencies, federal law enforcement, the military, city and state government, and officers and families from all four counties. 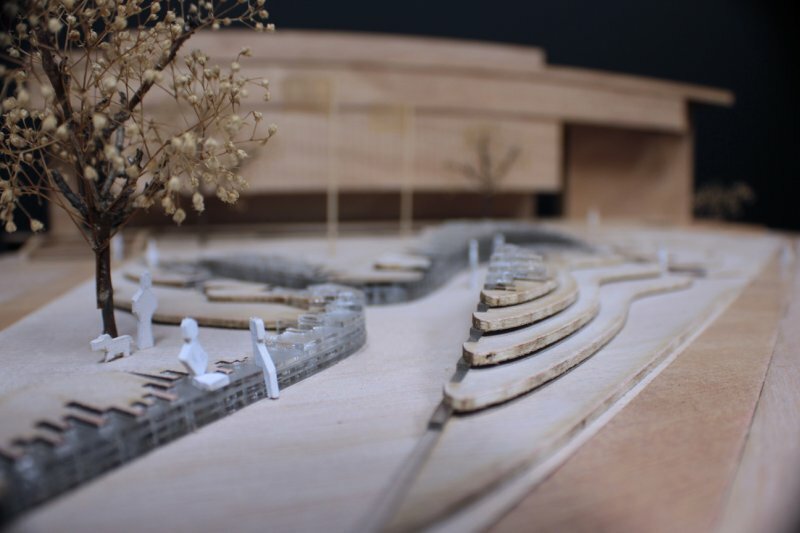 Each of the 1000 guests were given the opportunity to view, up close, each model rendering. 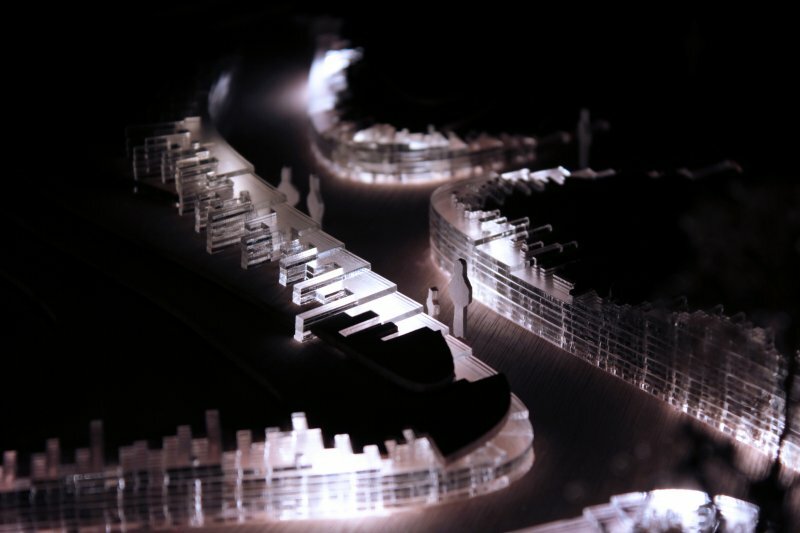 During the course of the evening each guest voted for his or her favorite design. 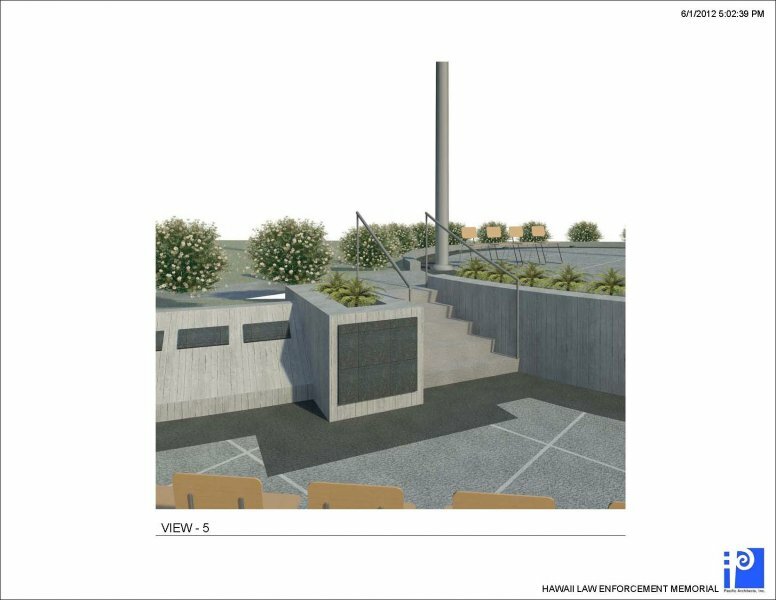 Then, at the conclusion of the evening, votes were tabulated and a clear majority determined the award winning design for the future Hawaii Law Enforcement Memorial. 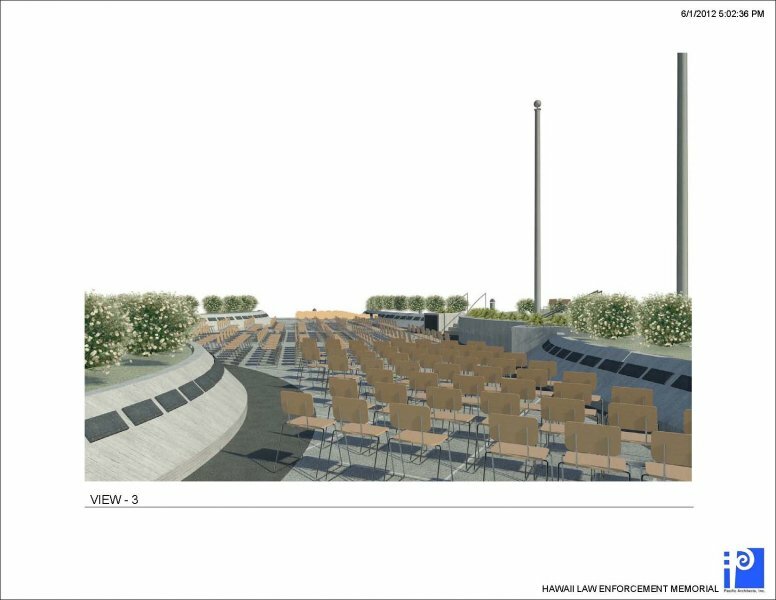 As a regular visitor to the Foundation website, you will be able to view the progress of the Memorial as it becomes a reality. As always, the Foundation appreciates your comments as this process continues. 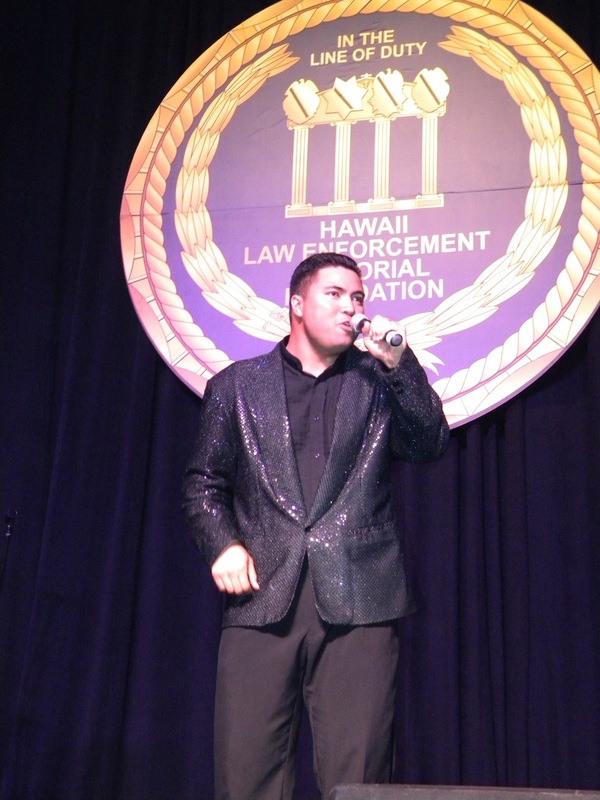 Mahalo for your continued support of the Hawaii Law Enforcement Memorial Foundation. Copyright ® 2018, HLEM Foundation. All rights reserved.